خدائی, میثم, صفرآبادی, مجید, حقیقی یزدی, محتبی. (1397). بررسی عددی اثر خواص وابسته به نرخ کرنش مواد در رفتار ضربه سرعت‌بالا و سرعت حد بالستیک در سازه‌های لانه‌زنبوری. علوم و فناوری کامپوزیت, 5(4), 511-520. میثم خدائی; مجید صفرآبادی; محتبی حقیقی یزدی. "بررسی عددی اثر خواص وابسته به نرخ کرنش مواد در رفتار ضربه سرعت‌بالا و سرعت حد بالستیک در سازه‌های لانه‌زنبوری". علوم و فناوری کامپوزیت, 5, 4, 1397, 511-520. خدائی, میثم, صفرآبادی, مجید, حقیقی یزدی, محتبی. (1397). 'بررسی عددی اثر خواص وابسته به نرخ کرنش مواد در رفتار ضربه سرعت‌بالا و سرعت حد بالستیک در سازه‌های لانه‌زنبوری', علوم و فناوری کامپوزیت, 5(4), pp. 511-520. خدائی, میثم, صفرآبادی, مجید, حقیقی یزدی, محتبی. بررسی عددی اثر خواص وابسته به نرخ کرنش مواد در رفتار ضربه سرعت‌بالا و سرعت حد بالستیک در سازه‌های لانه‌زنبوری. علوم و فناوری کامپوزیت, 1397; 5(4): 511-520. 3استادیار، مهندسی مکانیک، دانشگاه تهران، تهران، ایران. استفاده گسترده از سازه‌های لانه‌زنبوری به‌عنوان هسته سازه‌های ساندویچی در صنایع هوایی و امکان برخورد اجسام کوچک با سرعت‌های بالا به این سازه‌ها، بیانگر ضرورت مطالعه بر روی رفتار ضربه سرعت‌بالای سازه‌های لانه‌زنبوری است. در این مقاله با در نظر گرفتن وابستگی خواص سازه لانه‌زنبوری به نرخ کرنش بالا، به شبیه‌سازی المان محدود رفتار ضربه سرعت‌بالا و تعیین سرعت حد بالستیک این سازه‌ها در برخورد با پرتابه‌های سرنیمکره و سرتخت پرداخته شده است. نتایج شبیه‌سازی با نتایج آزمایشگاهی موجود در منابع مقایسه شده است و سرعت حد بالستیک حاصل از مدل‌های عددی، انطباق خوبی با نتایج آزمایشگاهی دارند. همچنین جهت بررسی اثر خواص وابسته به نرخ کرنش، سرعت حد بالستیک مدل‌های عددی در صورت عدم اعمال خواص وابسته به نرخ کرنش تعیین و با نتایج مدل‌های دارای اثرات وابسته به نرخ کرنش مقایسه شده ‌است. مقایسه نتایج این دو حالت نشان می‌دهد که به‌کارگیری اثرات وابسته به نرخ کرنش موجب افزایش جذب انرژی به‌صورت انرژی اتلافی پلاستیک و انرژی اتلافی اصطکاکی می‌شود که دقت شبیه‌سازی عددی را به‌طور قابل توجهی بهبود می‌بخشد. از سوی دیگر در شبیه‌سازی برخورد پرتابه به سازه لانه‌زنبوری، مکانیزم‌های تخریب، و همچنین سطوح آسیب در جلوی لانه‌زنبوری، مشابه با نمونه‌های آزمایشگاهی مشاهده شده است. با این حال نحوه ساخت لانه‌زنبوری و ماهیت اتفاقی برخورد، موجب تفاوت سطوح آسیب در پشت لانه‌زنبوری شده است. In this paper, high velocity impact behavior of honeycomb structures was modeled by implementing high strain rate dependent properties of honeycomb and its ballistic limit velocities in collision with hemispherical as well as flat ended projectiles were calculated. The obtained results were validated with those available in open literature and numerical ballistic limit velocities were found to be in good agreement with experimental ballistic limit velocities. In addition, ballistic limit velocities in models without strain rate dependent properties were calculated and compared with those in previous models to evaluate the influence of strain rate dependent properties. Comparing the results of these two kinds of models showed that using strain rate dependent properties increases absorbed energy as plastic dissipated and frictional dissipated energies which improve accuracy of numerical modeling significantly. On the other hand, fracture mechanisms and damaged zones were investigated in numerical models and were compared with experimental output. Damaged zones in front of honeycombs in numerical models were similar to experiments but honeycomb manufacturing process and random collision of projectile with honeycomb, made some differences in damaged zone at the back of the honeycombs. Safarabadi, M. Ashkani, I. and Ganjiani, S.M, “Finite Element Simulation of High Velocity Impact on Polymer Composite Plates ” Journal of Science and Technology of Composites, In press, 2016. Arjangpay, A., Darvizeh, A., Yarmohammad Tooski, M. and Ansari, R., "Modeling Damage Evolution of Composite Laminates under Low Velocity Off-center Impact" Journal of Science and Technology of Composites, Vol. 3, No. 3, pp. 243-252, 2016. Khoramishad, H., Khodaei, M. and Bagheri Tofighi, M., " Sensitivity of the Impact Behavior of Multi-layered Metal Laminates to the Position of Material Parameters Variations" Journal of Science and Technology of Composites, Vol. 1, No. 1, pp. 23-34, 2014. Cowper, GR. and Symonds, PS., "Strain-hardening and Strain-rate Effects in the Impact Loading of Cantilever Beams" Division of Applied Mathematics, Brown University, Tech. Rept. No. 28, 1957. Johnson, GR. and Cook, WH., "A Constitutive Model and Data for Metals Subjected to Large Strains, High Strain Rates and High Temperatures" Seventh International Symposium on Ballistics, The Netherlands, pp. 541-547, 1983. Bodner, SR. and Symonds, PS., "Experimental and Theoretical Investigation of the Plastic Deformation of Cantilever Beams Subjected to Impulsive Loading" Journal of Applied Mechanics, Vol. 29, No. 4, pp. 719-728, 1962. Smerd, R., Winkler, S., Salisbury, C., Worswick, M., Lloyd, D., and Finn, M., "High Strain Rate Tensile Testing of Automotive Aluminum Alloy Sheet" International Journal of Impact Engineering, Vol. 32, No. 1-4, pp. 541–560, 2005. Holt, DL., Babcock, SG., Green, SJ. and Maiden, CJ., "The Strain-Rate Dependence of the Flow Stress in some Aluminum Alloys" Transactions of the ASM: Transactions Quarterly, Vol. 60, No. 2, pp. 152-159, 1967. Tanaka, K. and Nojima, T., "Strain Rate Change Tests of Aluminum Alloys under High Strain Rate" Proceedings of the Nineteenth Japan Congress on Materials Research, pp. 48-51, 1975. 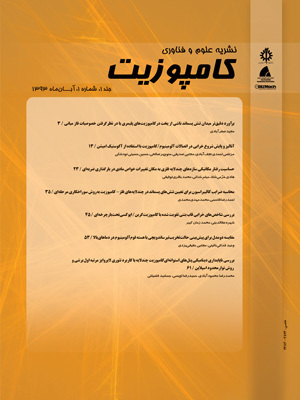 Dashti, M. R., “Experimental and Numerical Investigation of the Effect of Polymeric Foam on the Penetration of Projectile in the Foam-filled Honeycomb Structures" Tarbiat Modares University, Tehran, 2011. Pirmohammadi, N., Liaghat, Gh.H., Pol, M.H. and Sabouri, H., "Analytical, Experimental and Numerical Investigation of Sandwich Panels Made of Honeycomb Core Subjected Projectile Impact" Modares Mechanical Engineering, Vol. 14, No. 5, pp. 153-164, 2014. Wang, Zh., Tian, H., Lu, Z. and Zhou, W., "High-speed Axial Impact of Aluminum Honeycomb – Experiments and Simulations" Composites: Part B: Engineering, Vol. 56, pp. 1-8, 2014. Molatefi, H. and Mozafari, H., "Investigation on In-plane Behavior of Bare and Foam-filled Honeycombs in Quasi-static and Dynamic States by Using Numerical Method" Modares Mechanical Engineering, Vol. 14, No. 15, pp. 177-185, 2015. AlaviNia, A. and Sadeghi, M.Z., " An Experimental Investigation on the Effect of Strain Rate on the Behaviour of Bare and Foam-Filled Aluminium Honeycombs" Materials and Design, Vol. 52, pp. 748-756,2013. Hassanpour Rudbeneh, F., Liaghat, G., Sabouri, H. and Hadavinia, H., "Investigation of Interaction Between Aluminum Facing and Honeycomb Structure in Quasi-static and Impact Loading" Modares Mechanical Engineering, Vol. 16, No.7, pp. 23-31, 2016. Hooputra, H., Gese, H., Dell, H. and Werner, H., "A Comprehensive Failure Model for Crashworthiness Simulation of Aluminum Extrusions" International Journal of Crashworthiness, Vol. 9, No. 5, pp. 449-464, 2004. "Abaqus Analysis Theory Manual" Version V6.14, 2014. Malvern, L.E., “Mechanical Properties at High Rates of Strain” Institute of Physics, p. 1, 1984. Metals Handbook “Vol. 2: Properties and Selection: Nonferrous Alloys and Special-Purpose Materials” Tenth ed, American Society of Metals, Metals Park, Ohio, 1990. Masuda, T., Kobayashi, T. and Toda, H., "High Strain Rate Deformation Behavior of Al-Mg Alloys" International Conference on Fracture, Honolulu, USA, pp. 363-368, 2001. Mukai, T., Higashi, K. and Tanimura, S. "Influence of the Magnesium Concentration on the Relationship Between Fracture Mechanism and Strain Rate in High Purity Al-Mg Alloys" Materials Science and Engineering, Vol. 176, No.1-2, pp. 181-189, 1994. Pare, V., Modi, S. and Jonnalagadda, KN., "Thermo-mechanical Behavior and Bulk Texture Studies on AA5052-H32 under Dynamic Compression" Materials Science & Engineering, Vol. 668, pp. 38-49, 2016. Moosbrugger, C., “Atlas of Stress-Strain Curves” Second ed, ASM International, Materials Park, p. 375, 2002. Pirmohammadi, N., “Analytical and Experimental Investigation on Ballistic Behavior of Sandwich Panels made of Honeycomb Core, M.S. Thesis, Department of Mechanical Engineering” Tarbiat Modares University, Tehran, 2013. Abrate, S. "Impact Engineering of Composite Structures" Springer Wien New York, p. 130, 2011.